A unique deck to inspire your clear place. Original nature photos on one side – practical tips on the other. Made in the USA with 100% wind power! Click here to learn more. Expert help with whatever is ailing your space. Options include on site or remote consultations. Click here to learn more. Click on the here to learn about workshops for your community or workplace. 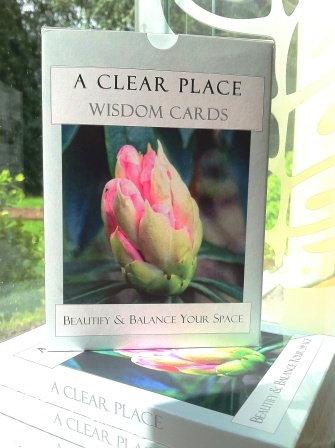 Beautiful cards and excellent pointers for a “clearing of space, body and mind” . . . healthy living!